Sam Bush, ‘King of Newgrass,’ is the latest in an impressive lineup of performers scheduled to appear at Southern California’s Huck Finn Jubilee June 13-15 in Ontario, California. 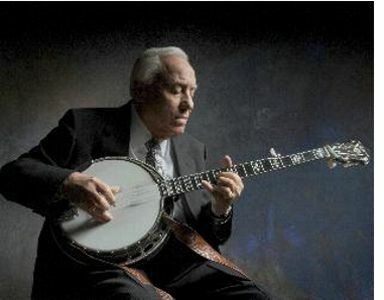 The Grammy-winning artist and AMA Lifetime Achievement Award recipient has been pushing the boundaries of bluegrass for decades, fusing together styles that make it more expansive and adaptable. He joins The Del McCoury Band, Junior Sisk & Rambler’s Choice, Rhonda Vincent, The Boxcars, and Chris Jones and the Night Drivers in the early lineup of performers, with many more bands to be announced soon. Huck Finn Jubilee takes place June 13-15 at Cucamonga-Guasti Regional Park in Ontario, Calif. Visit www.huckfinn.com for details. 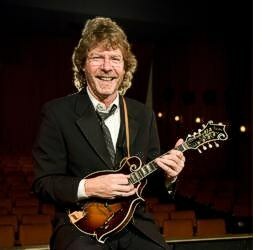 Vienna, VA -- Often called the “King of Newgrass,” Sam Bush is distinguished for his artful mandolin skills and Grammy-winning fusion of bluegrass and rock. Once a child prodigy on the fiddle, he grew to become one of the originators of the newgrass genre–an offshoot of bluegrass that combines jazz, rock, and reggae influences, as well as jam band-style improvisations. North Adams, MA -- Securing its place at the forefront of the bluegrass and roots music scene, the first wave of acts announced for MASS MoCA's (Massachusetts Museum of Contemporary Art) expanding FreshGrass festival (www.freshgrass.com) includes legendary bluegrass pioneers, genre-bending bands, and groundbreaking contemporary traditionalists. A new main stage, located on MASS MoCA's expansive and grassy "Joe's Field", has been added to this year's festival. A full slate of afternoon and evening performances-as well as late-night, hoedown-style barn dances-is scheduled for the weekend of September 20-22, 2013. Sam Bush and Del McCoury are featured in the latest Soundcheck segment from The Bluegrass Situation. This short film takes you backstage of the opening night of the duos co-headlining tour at The Birchmere in Alexandria, VA. This is the first set of shows Sam and Del have played together, despite being friends for many years. Describing themselves as being like the Monroe brothers, these two are excited to continue touring together in 2013.